Everybody and their mother has an app on mobile app marketplaces, with the breadth of given functionality ranging from robust social media platforms to simple and refined ways to track and share your bowel movements. This is true for famed game development studio Blizzard Entertainment as well, a company that so far has released several apps aimed at fans of the studio's biggest IP. 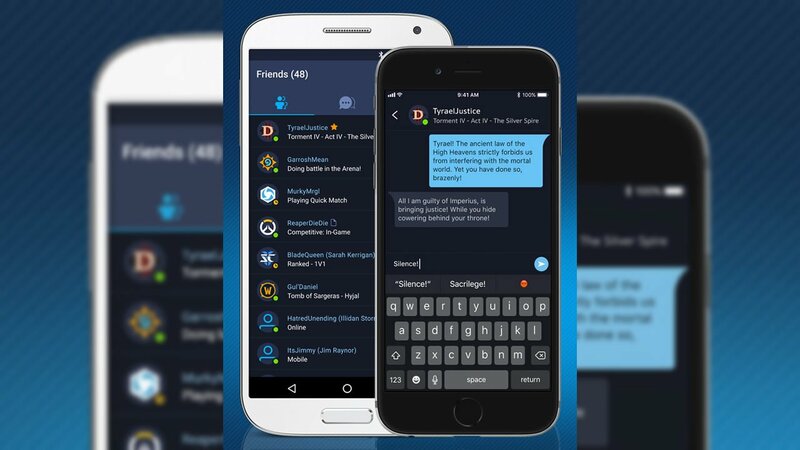 Now, in addition to a lineup that includes the Blizzard Authenticator and the World of Warcraft Armory, Blizzard has introduced its new Battle.net app for iOS and Android devices that allows Battle.net users to socialize with one another while away from home. Though Battle.net itself is a fairly robust service, the Battle.net mobile app really seems to be anything but -- in fact, it looks like it's not much more than an instant messaging platform. The app allows users to add friends by entering their e-mail addresses, Battletags, or a special QR codes; beyond that, the only functions are sending and recieving messages and putting up a current status of away, online, or busy. And, in a move that may surprise some, the Blizzard Authenticator functionality isn't built into the new Battle.net app. It's a little hard to image exactly what Blizzard had in mind with the company's latest app. After all, there are dozens of instant messaging clients available in app marketplaces or through the worldwide web, to say nothing of the constant availability of SMS messaging. Sure, the Battle.net app might be perfect for those players who do the majority of their socializing through Blizzard games, and it does allow players to keep within Blizzard's set infrastructure even if they're away from their computers, but somehow, it just doesn't seem very substantial. However, like with the Steam app that launched some five years ago, Blizzard may have the bigger picture in mind; the new Battle.net app may be a springboard for future features that players would like to see or even a platform for new experiences. Or, if nothing else, it could eventually merge with the Blizzard Authenticator, an app that many Blizzard fans already have installed on their devices. Until we know more, we'll just have to hope for the best. And, hey, at least it's free. Interested users can pick up Blizzard's Battle.net mobile app right now through the Apple App Store or the Google Play Store. Get in the game on-the-go by checking out some of the great titles we've featured on our list of the Best Free To Play Games.